The arthroscope is a fibre-optic telescope that can be inserted into a joint (commonly the hip, shoulder, knee and ankle) to evaluate and treat a number of conditions. 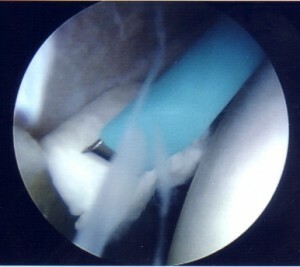 A camera is attached to the arthroscope and the picture is displayed on a TV monitor. The arthroscope is an excellent means of examining the whole of the hip and many conditions can be treated at the same time. 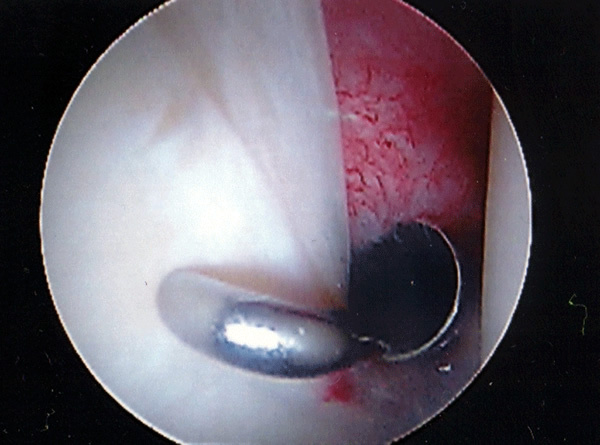 Hip arthroscopy is a developing technique and is only practised by highly specialised orthopaedic surgeons. Most arthroscopic hip surgery is undertaken as an inpatient procedure and is performed under general anaesthesia. Patients are admitted on the day of surgery and need to remain fasted for 6 hours prior to the procedure. The hip undergoing the procedure will be identified and marked prior to the anaesthetic. Traction is applied to the leg to allow access to the hip joint and x-ray is used throughout the procedure. 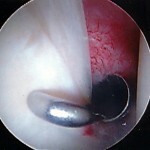 The arthroscope is introduced through a small (approximately 0.5-1.0cm) incision on the outer side of the hip. A second incision on the front of the hip is made to introduce the instruments that allow examination of the joint and treatment of the problem. Occasionally a third incision over the outer part of the hip is also required. Local anaesthetic is administered into the hip by the surgeon at the end of the procedure. This usually provides 8-12 hours of pain relief. A dressing pad is applied to the operated hip. Strengthening the buttock (glutei) and thigh muscles (quadriceps and hamstrings) is very important; cycling (stationary or road) and swimming are excellent ways to build these muscles up and improve movement. Core stability is also an important issue to address. The risk of complication from arthroscopic hip surgery is also rare and is generally related to the use of traction or the creation of skin portals for access. Occasionally stiffness of the hip will prevent arthroscopy from being possible; sometimes symptoms may be made worse by arthroscopy (<5%). The early results of arthroscopic resculpting to treat femoroacetabular impingement are very encouraging. Eighty five percent of patients report marked improvement in symptoms at 1 year. The long term results are not yet known, however. Occasionally there is more damage in the hip than was initially thought; this can affect the recovery time. 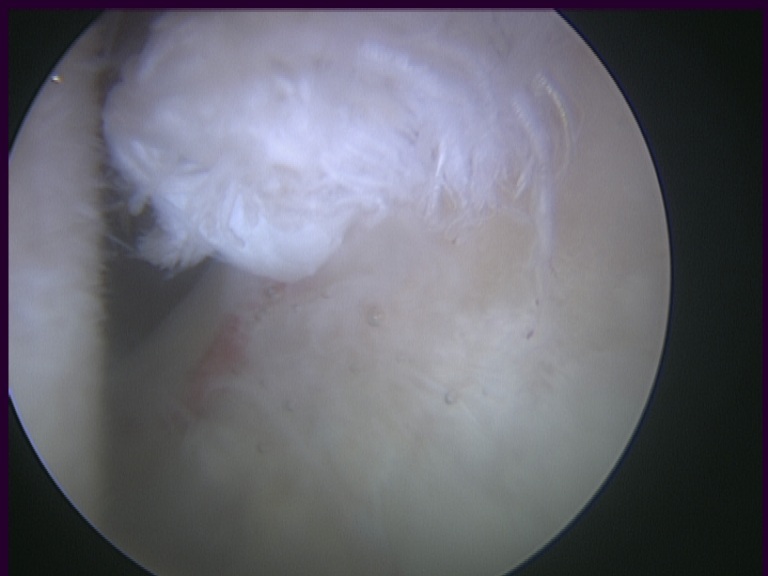 If the cartilage in the hip is significantly worn out then arthroscopic surgery has only about a 75% chance of improving symptoms in the short to medium term: more definitive surgery (e.g. hip replacement) may be required in the future. In general arthroscopic surgery does not improve hips that have well established osteoarthritis but may give symptom relief for a period of time. This is useful in young patients who are not keen on joint replacement.